You’re currently perusing the Round 54 Voting Thread. 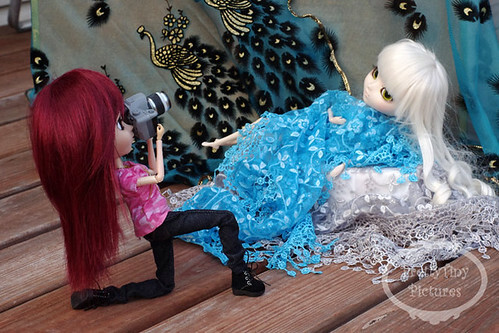 This round’s theme, Art—you’re your doll being creative, was chosen by our Round 53 victor, Alliecat. There were two entries this time. Voting closes on September 16 . The person whose photo entry receives the most votes during the voting period will get to choose the next round's theme. Both gorgeous pictures, with very different interpretations. (09-13-2018, 07:31 AM)Lejays17 Wrote: Both gorgeous pictures, with very different interpretations. My boyfriend made them. I haven't attempted any that small yet! Who will win the battle of the cats?! Quote: Who will win the battle of the cats?! Your boyfriend is very clever - how does he fold such small things? Does he use something like a toothpick? I like them both! But I don't see a option to vote? How weird! Looks like the poll closed before my posted deadline. I'm not sure what happened...could be that I mistakenly selected the wrong amount of days the poll should stay open for. In any case, since voting is no longer an option, congratulations to NatTheCat! He used fingernails for those - he said he uses toothpicks for even smaller ones! (09-16-2018, 02:26 PM)KiraKira Wrote: In any case, since voting is no longer an option, congratulations to NatTheCat! Wow, thanks everybody! I liked Alliecat's but was partial to mine, so I didn't vote at all. Like Cornflower, I really liked both! I have an idea for the next theme that I'll send to you, KiraKira. Congratulations, Nat! 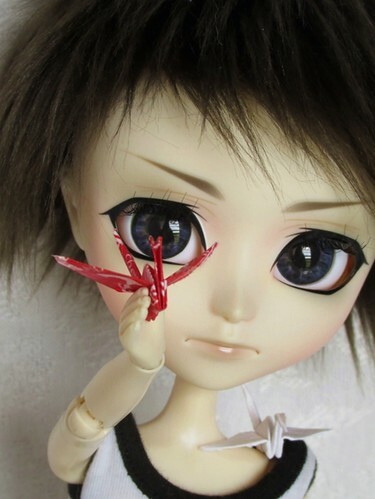 The teeny cranes are really cute, and he looks super earnest about showing them to you. I could still see a voting option after Cornflower Blue posted. ...? I didn't vote either, haha. Wow I have been bad. I missed the voting as well. Congratulations! That origami crane is impressive!